How To Make Your Next Corporate Event Unforgettable! There are many ways to make your next event great, and there are just as many ways that it can quickly become a flop. Regardless of the type of entertainment you choose for your next corporate event, remember that the entertainer’s job is to create a relationship with the audience. Unlike with a music performance where audience members can visit during the show, a magic event requires participation and attention. 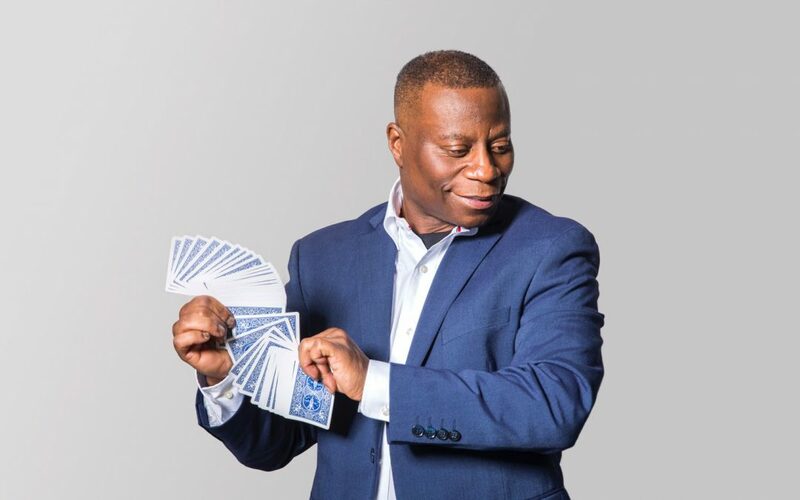 A professional, experienced, and talented magician knows how to engage an audience until they are focused. Inexperience might also mean unskilled. The last thing you want is the same-old cheesy tricks that everyone has seen before. You might end up with an entertainer who doesn’t understand how to handle themselves in front of corporate audiences. This could result in your guests becoming offended and turned off by your message. A lackluster, forgettable, or simply disappointing event. This can reflect badly on you and your business. You might even lose some respect from your employees following a poorly planned event. Craig Martin is a corporate magician in Vancouver WA who is anything but inexperienced! He has been entertaining audiences for 25 years and will be the hit at your next corporate event. Click here to read more about why The Magic of Craig Martin should be the headline of your next event. He is happy to give you free demonstrations, so you can be sure that you know exactly how qualified he is.